goland. I got so close in 1992. Yes, this is an old story but I never told before and it has a link to the present. The distance was less than ten sea miles. I was on board the fishing trawler UK136 with a crew from the former island of Urk. 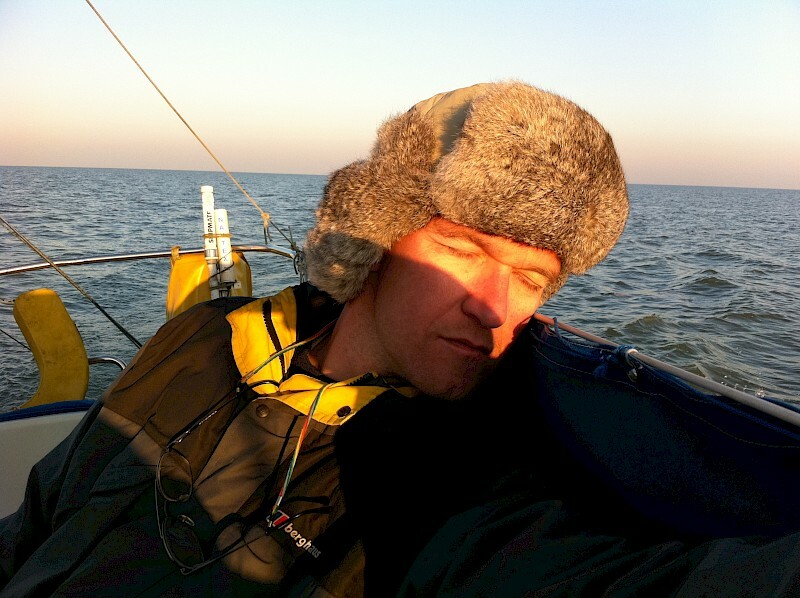 We sailed over the North Sea and the wind was building up. Wind force 7 to 8 Beaufort, high waves for 72hrs. The captain was praying out loud for the crew at every dinner and supper time in the galley. During the second night in the gale he spoke of finding a safe harbour at the island of Helgoland. I had never heard of it. While manoeuvring the trawler over the dark seas, the captain told me in his strong Urker dialect all about it. The island Helgoland is an about sixty meters high, red rock in the middle of the German Bight. It used to be an U-Boot naval base. Ideal for movies scenery. Today it is alive with people and birds, many birds. Meanwhile on the fishing vessel, the raging storm wasn’t raging enough to make the captain decide to seek a safer place. He had to catch as much fish as he could with his ship and crew. Helgoland has been on my mental horizon since then. Now I will sail there, alone, on a small sailing boat, straight through the sea passage between Den Helder and the Texel’s Mokbaai. They say that if you can sail the German Bight, you can sail anywhere in the world.